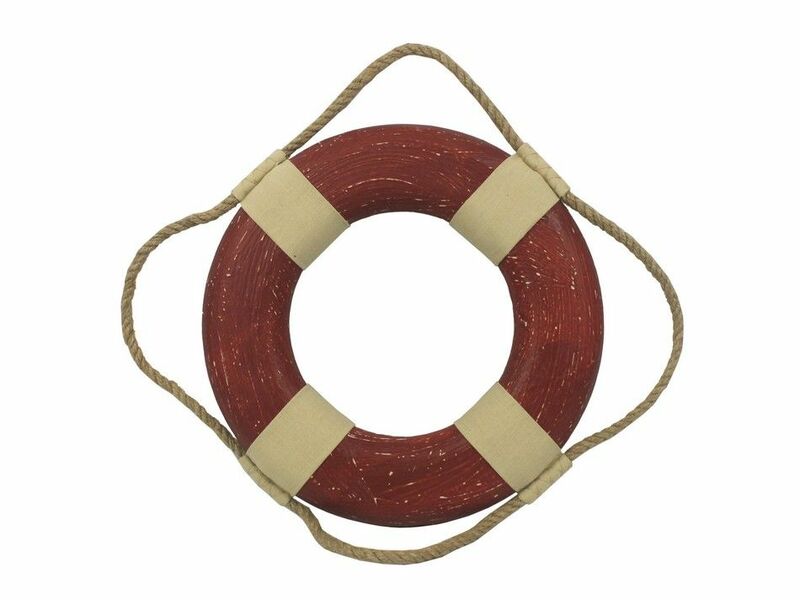 This Vintage Red Decorative Lifering 10" will compliment any beach home perfectly. Our authentic rope used to wrap around the nautical lifering brings this beach bedroom accessory to life and will light up your beach living room, beach wedding decorations or beach themed party. Our life ring decorations are the perfect choice for any beach setting.